and Censor of Inconvenient Truths. 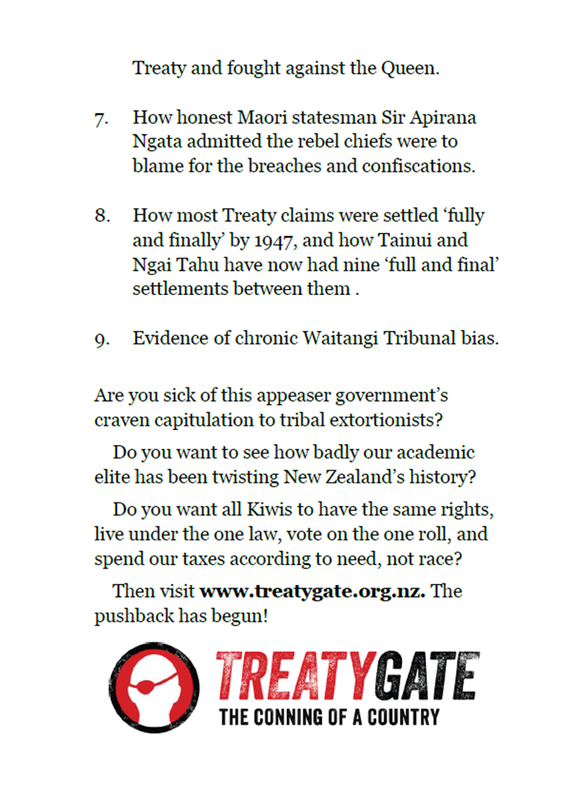 Thursday night’s Maorification fest at Te Papaganda was billed as a Treaty ‘Debate’. Its topic was ‘Finding a Place for the Treaty’. In Fiji: ‘Finding a Place for the Military’. In the Third Reich: ‘Finding a Place for Blonde Hair’. In Zimbabwe: ‘Finding Farms for Freedom Fighters’. There, like here, the dictator dictates the outcome, the debaters debate the detail. The dictator of Te Papaganda is Empress Dame Claudia Orange. The following is my comprehensive account of a most instructive evening. seemingly modelled on a nuclear power plant. I arrived 45 minutes early to find that the Smarmy Army were already well dug in. All the seats in the waiting area outside Soundings Theatre were full of indoctrinated undergraduates and assorted other grievers and appeasers. As predicted, they had arrived early and in numbers to defend the Treatifarian position. 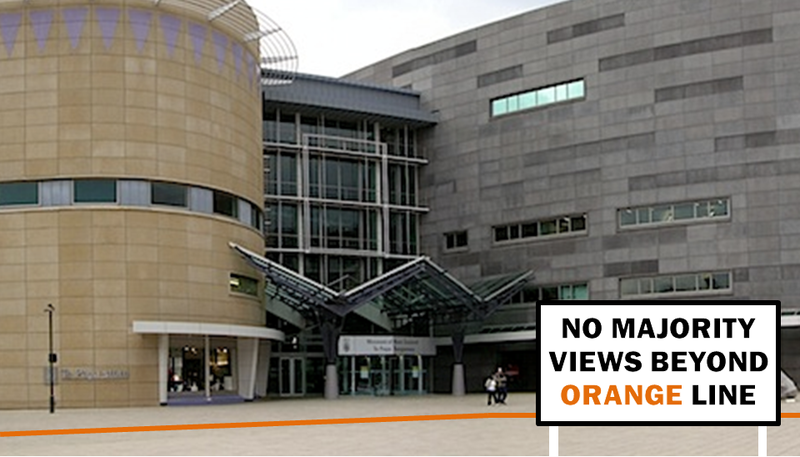 Our views are not welcome at ‘Our Place’. 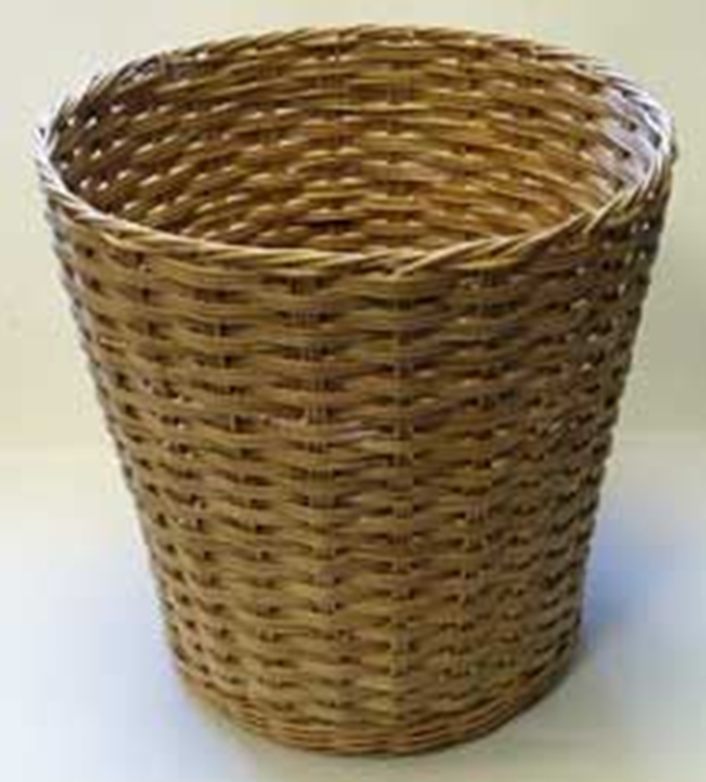 I’d hardly had time to reach into my wicker Treaty receptacle when the Te Papaganda Cultural Safety Police pounced. A black-shirted agent of the state strode up to me looking cross. “So what are those thin white papery things on the table outside the theatre?” I asked. I pointed towards the stacks of Treatifarian mumbo-jumbo waiting to be handed out to arriving audience members. And so I left the building, and started handing out the leaflets outside the door. My Place for the Treaty. And then, what do you know? — the cultural safety nazi came strutting up to me again. He wasn’t exactly sure, but thought it was about five metres into the concourse. within five metres of the building. And so, from behind an imaginary Orange line, I resumed dispensing my leaflets. Most people accepted them too. Including one of that evening’s ‘debaters’, Moana Jackson, and Constitutional Advisory Panel co-chair Dr John Burrowes. Sir Tipene O’Regan did not. Sir Geoffrey Palmer did not. “But you’re in it, Sir Geoffrey!” I called after him hopefully. But to no avail. Racist Relations Commissioner Joris de Bres was more accepting. He actually asked me for one afterwards. Several times — not necessarily by accident — I intruded into the Exclusion Zone, and was revisited by my increasingly exasperated black-shirted nemesis. I was joined in due course by Digby Paape. Digby for a time actually managed to penetrate the interior of the Bastion of Bias, handing out many leaflets before also being frogmarched from the building. In the end, the blackshirt confessed that he agreed with us. To spare him certain summary dismissal, I won’t identify him further. He allowed us into the ‘Debate’, but only after we’d surrendered our remaining pamphlets at the coat check. Carwyn Jones, Dame Claudia Orange, Dr Matthew Palmer. Yes, it was every bit as one-sided as I predicted in the previous post. Put the Treaty into law. Let judges decide Treaty claims. He actually said the words, “The Pakeha majority have nothing to fear”. Because judges can be trusted to be fair. That would be judges like ‘Chief Injustice’ Dame Sian Elias, who helped overturn over a century of settled law to allow Ngati Apa to claim against the Crown. The same Dame Sian who is on record as saying that she considers it her right to strike down any law she does not agree with. I don’t know about you, but I’d rather pin my hopes on Parliament any day. 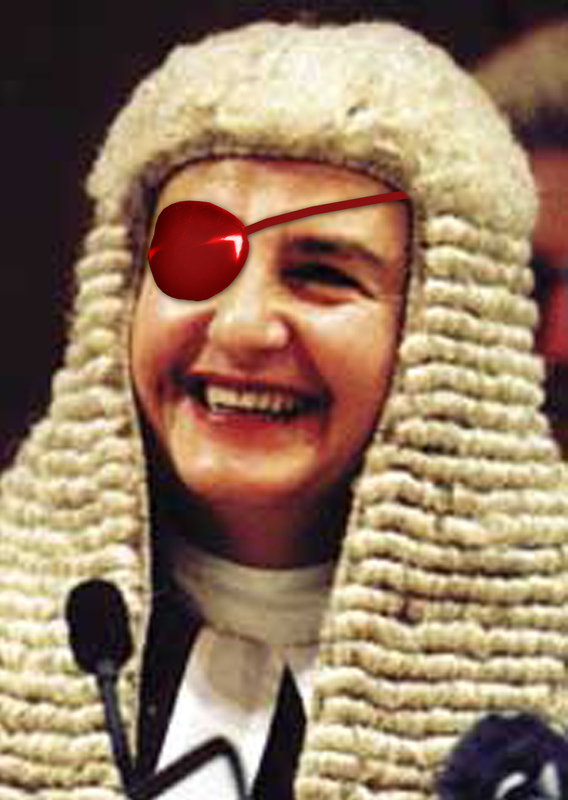 thinks we should trust judges like her. Maori had developed a clear system of law before the British arrived. Maori did not give up sovereignty. 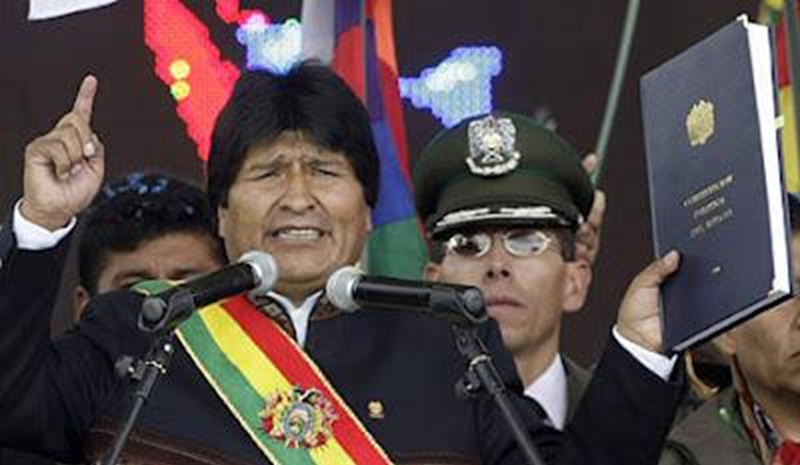 Jackson wants a written constitution like Bolivia’s, which is based on Pachamama, the equivalent of Papatuanuku. I had predicted that this would be a very ‘agreeable’ ‘debate’ — as in one in which the ‘debaters’ were ‘able’ to ‘agree’ on pretty much everything. Matthew Palmer said as much to Moana Jackson when he detected “an intimate distance between our perspectives”. And of course it was never going to be. But in a radical departure from previous Treaty ‘Debates’, Dame Claudia flagged at the start that she was going to allow questions from the floor. When the time came, rather than wait to be presented with a microphone, Digby Paape announced that he was ready and raring to go with a question, and was happy to do it without a mic. Faced with this fait accompli, Empress Claudia had little option but to let him fire away. Digby began with a personal observation not strictly within the definition of a question. “I thought most of that was drivel,” said Digby. “Hear, hear!” said I, spluttering. Howls of derision rained down upon Paape’s pate, as Jackson (clearly a long way from being entirely Maori himself) cleverly managed to make it sound desperately unfair to judge one’s Maoriness (for compensation purposes) by the degree to which one is actually Maori. “How convenient!” I chimed in. I kept my hand in the air for the duration of question time, as the microphone was directed by Her Majesty from one Claudiophile to another. Like Appeaser-General Finlayson at a recent Orewa School meeting, when I had kept my arm up for minutes on end, the Great Dame did not seem to find my raised limb at all easy to detect. John Robinson made the mistake of generously giving Dame Claudia a copy of his book, When Two Cultures Meet — The New Zealand Experience. From then on he was a marked man, and his attempts to ask official questions proved as fruitless as mine. But two other gentlemen of our acquaintance did manage to get their hands on the holy roving mic, doubtless because Dame Claudia had not yet learned to associate their faces with trouble. These questions produced the usual meaningless, meandering responses designed to put the audience off the scent. In my case, they worked. I can’t remember what they said, except that it was crap. If you heard the broadcast of the ‘Debate’ on National Radio today, you would not have heard any of our comments. Predictably, they edited out question time to present an image of unanimity. 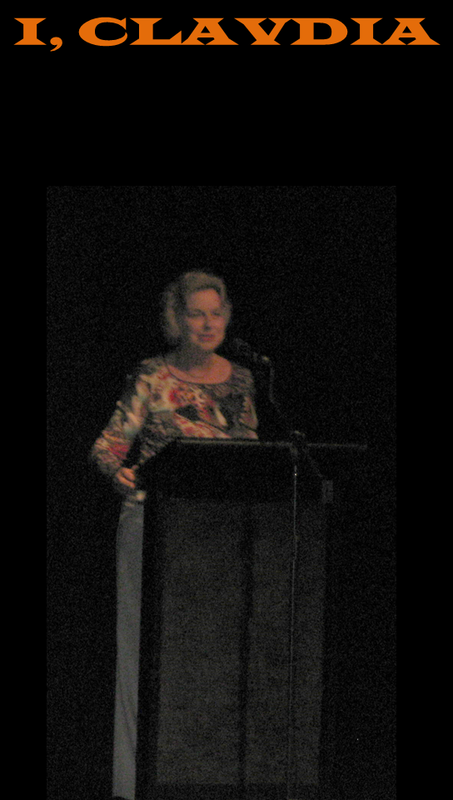 I went into the ‘Debate’ thinking that Dame Claudia was a nice enough person, albeit a chronic exaggerator/minimiser. I left realising that she is also a smarmy and devious manipulator. Soundings Theatre, venue for the Te Papa Treaty ‘Debates’. As we staggered out, punchdrunk by the disgraceful sham we had witnessed, I spotted Professor John Burrowes milling around in the foyer. So I took the opportunity to ask him whether his Constitutional Advisory Panel would actually be holding any public meetings before reporting back on the will of the public. A panel which has said it wants to gauge the views of as many members of the public as possible, is almost certainly going to allow the public to meet it? I’ve heard good things about Professor Burrowes. He was, by all accounts, a brilliant lecturer. He seems very decent and friendly. Perhaps ironically, he and Don Brash were close childhood friends. 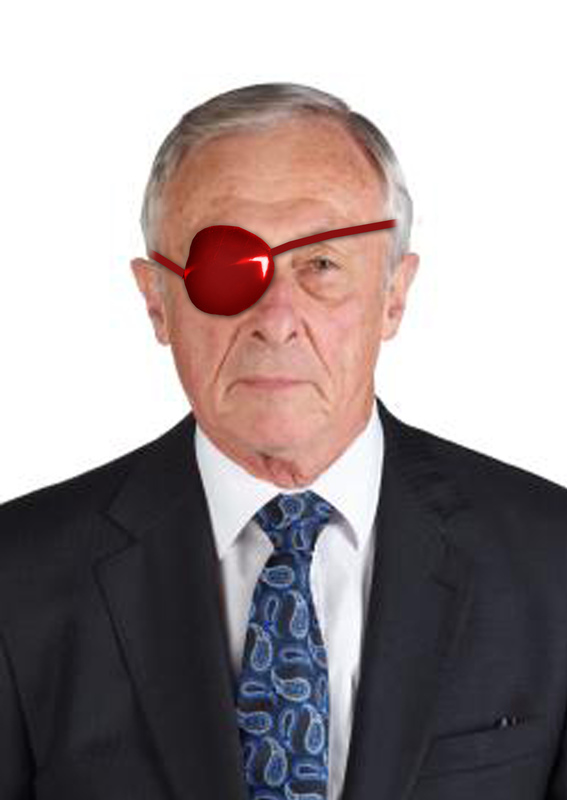 So I’d really like to remove his eye patch, I really would. But I’m reminded that I put it on him after reading so many fishy things about the Panel, and after the Panel’s secretariat said he’d try to get back to me when I called him mid-last year. And now he is almost certainly going to subject his Panel to the scrutiny of the public. I think we’re going to have to organised one of those public meetings, don’t you? 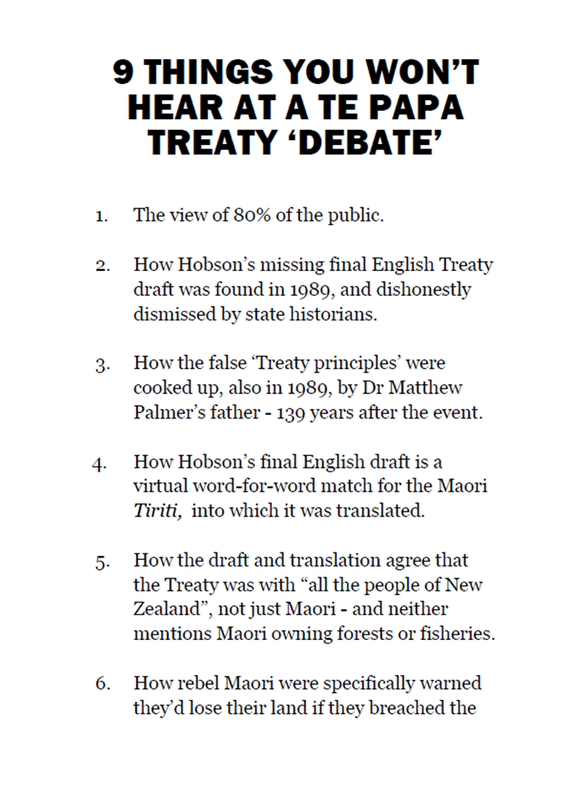 Meanwhile, we have another Te Papa Treaty ‘Debate’ this coming Thursday — about the Constitutional Review. I urge you Wellingtons to be there, and again make your voices count. 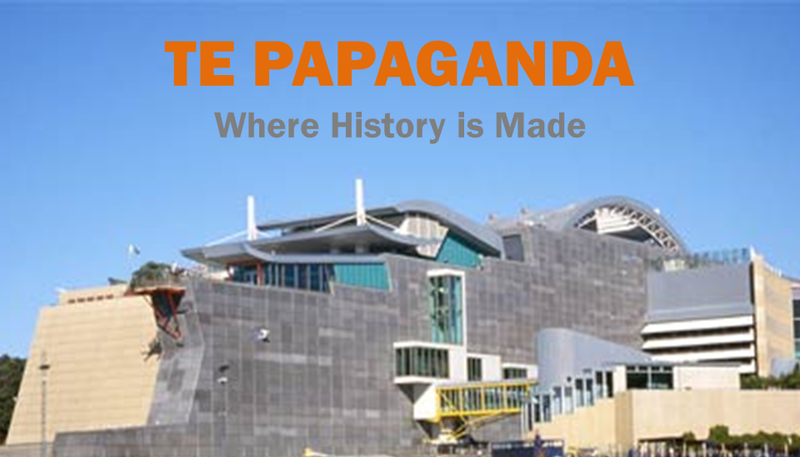 Previous postTe Papa Treaty 'Debate' tonight – let's give them one! Next postWhen did we vote to change our name to Aotearoa New Zealand? Yes Owen, you are correct in your assumption of my thoughts. NN would appear to overlook such historical facts when it suits, which is a common thread is it not? History aside, Can I ask. How is it that Maori are stopping you from asserting your own rights and prevailages as New Zealanders? Or is all this blatant maori bashing a lot more sinister than appears. Wise up Milan. The resources of NZ, apart from those already owned privately by Maori and non Maori used to be belong to all citizens by virtue of them being vested in the government. They supported all citizens. The fraudulent tribal grab has removed much of these from universal ownership and vested them solely in tribes. They no longer support non Maori as well. Big racist problem. You apparently have no understanding of the terms rights and privileges Milan. Wise up man. Maori have impacted on my rights and privileges in the many ways. The following are just a few examples. – I used to be able to access the same funding as everyone else for my childrens education. 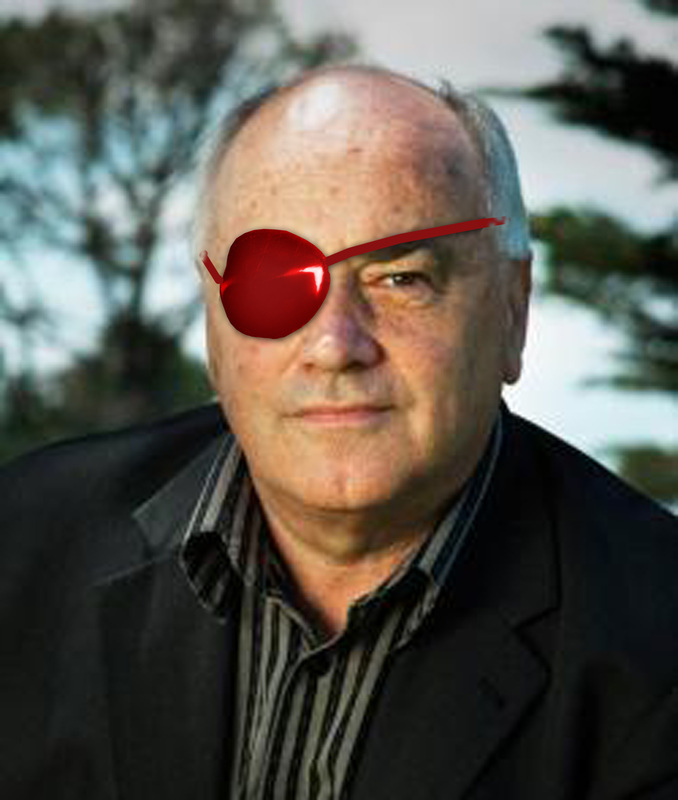 Now I can’t – they have to wait until Maori children have been catered for, then we can fight for what is left over. I used to be able to access the same health care and resources as Maori. Now I can’t. Maori get first funding and we take whatever is left over. I used to be able to walk onto public areas along with any other person in the country, Now I can’t. Many of these have been passed over to Maori and they only allow Maori onto these sites. I used to be able to have my applications for developments judged under the same rules as everyone. Now Maori can veto them as of right and pocket my application fees. I have no such rights – Maori can approve whatever they like for themselves via their exclusive input into local government and RMA decisions. Do I really need to carry on Milan? Are you really this thick? As for taxes, the misappropriation of them and allocation of them on racial grounds is the very definition of a denial of rights and privilege. There used to be a time when taxes were allocated on a needs basis and not on race. Now Taxes are spent on all things Maori and whatever remains get spent on the rest. Mike points out that Maori schools drain money from schools that teach in the true language of NZ – English. These schools would never have emerged if not for the Maori Language Act. Far better to spend the money they get on English-language education. Maori language education = apartheid and Nazism.